If your child is injured in a car wreck, you will likely go through a myriad of emotions. First, is obvious concern to find your child proper medical treatment. Next, you may be worried about the long term effects suffered as a result of the accident. You could even be devastated if your child has suffered catastrophic injuries. Along with the emotional rollercoaster, parents or legal guardians will want to understand the circumstances of the accident. How did it happen? Who is to blame for the child’s injuries? Should a claim be brought against the liable party? Time Limits for the claim: According to the Texas statute regarding time limitations for personal injury actions, a claim must be filed within two years the injured party knew or should have known that the accident caused the injuries. A parent filing a claim on behalf of a minor has the same time constraints. If a claim was not settled or judgment entered on behalf of the child, the statute of limitations is extended. Once minors are emancipated or reach their eighteenth birthday, they may file their own claim for injuries. This must be done within two years of either event. Who makes the claim: Although it is not mandatory to pursue legal action before the minor’s eighteenth birthday, it is generally advisable. It is much easier to investigate the claim closer to the date of the accident. A parent or legal guardian should consult with an experienced personal injury attorney concerning pursuit of a claim on the injured child’s behalf. The attorney will assist in the legal documents regarding appointment of a guardian ad litem for the minor. This person is charged with making decisions in the best interests of the child. A lawsuit is necessary for the claim: Even if the case is settled with the parties, it is necessary to file a lawsuit. You may hear the term “friendly suit” to refer to legal actions regarding settlement of claims on behalf of minors. The case is then brought before a judge to ensure that the best of interests of child have been met in the proposed settlement. 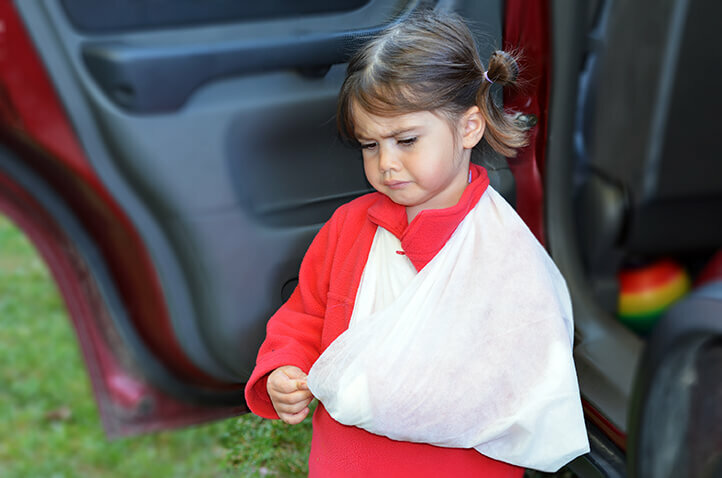 If your child has been injured in an accident, it is important to seek experienced legal representation. At the de Lachica Law Firm, PLLC, we can help you. Contact us to set up an appointment to discuss your child’s injuries and pursuit of legal action.